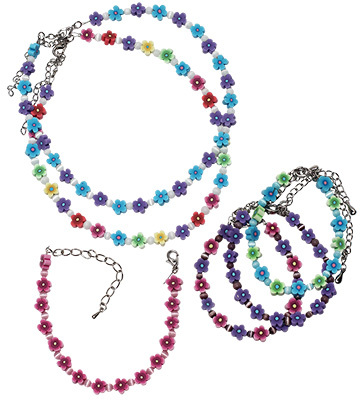 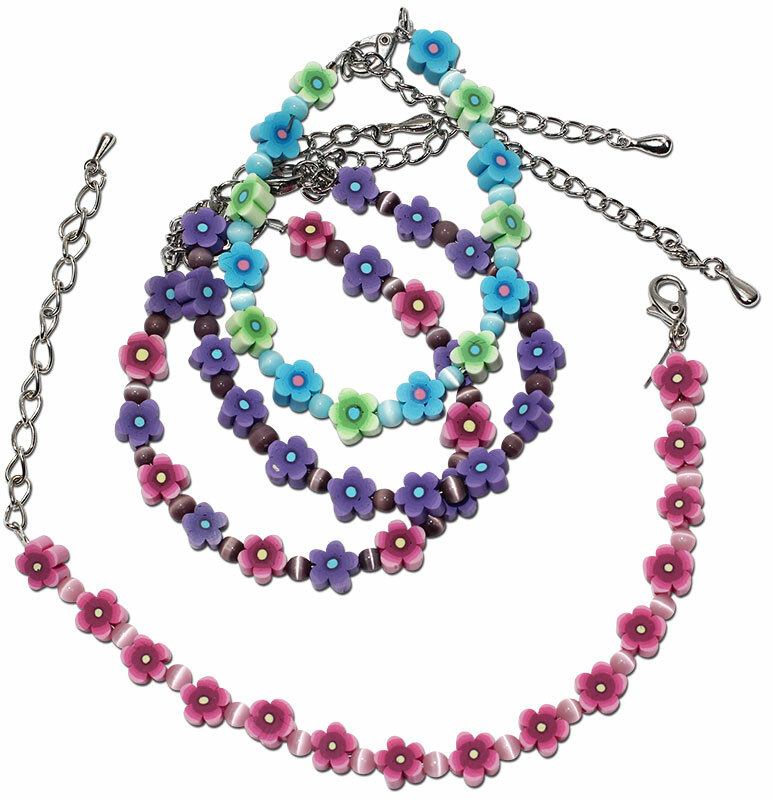 Fimo daisy and cat's eye beads in assorted colors. 13" necklaces or anklet/bracelet. Both come with extention chains and come on Monster Trendz hang cards.